(Natural News) Industrial farming has been heavily scrutinized by animal rights activists, promoters of plant-based eating and other groups, but their concerns about the industry have long been ignored. While there are many facets of the meat industry that are quite troubling, the shocking sanitation failures in the meat industry, uncovered by recently disclosed government records, will surely leave even the most ardent meat-eaters sick to their stomachs. 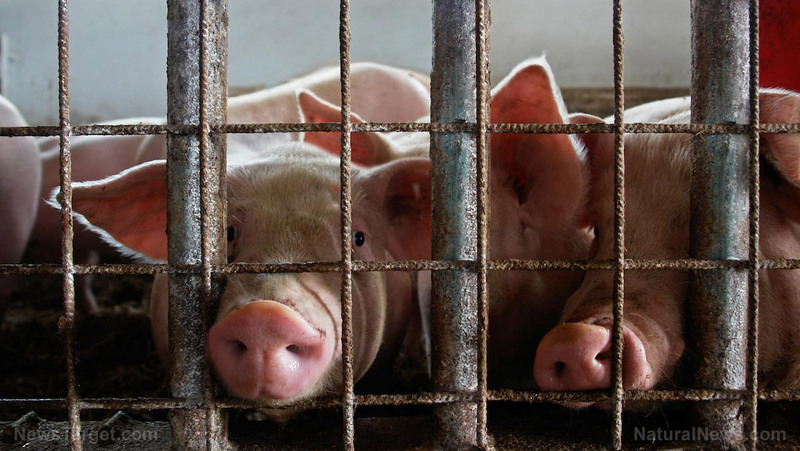 As The Guardian reveals, there are “deeply worrying” incidents happening at pork and poultry plants across the United States — and across the pond, people are now increasingly concerned about “dirty meat” entering the U.K. under a post-Brexit trade deal. When you consider that some 80 percent of the antibiotics prescribed in the U.S. are given to livestock at least in part to combat their immensely unsanitary living conditions — the fact that the meat that ends up on your plate is “dirty” really isn’t that surprising, sadly. But, the sheer number of “hygiene incidents” uncovered by the joint investigation led by Bureau of Investigative Journalism (TBIJ) and the Guardian Bureau of Investigative Journalism (TBIJ) and The Guardian is still nonetheless shocking. Dirty chicken, soiled with feces or having been dropped on the floor, being put back on to the production line after being rinsed with dilute chlorine. While the companies involved say that action was taken to correct these violations, and claim there’s no risk to consumers, many activists are still concerned about what kinds of horrid activities are going unnoticed. Meat hygiene inspectors interviewed by The Guardian reportedly said that it was “inevitable” that some violations would go undetected. Food and Water Watch Senior Lobbyist Tony Carbo commented, “While the inspectors are able to cite the plants for hundreds of violations per week, I am confident that they are not catching every instance of unsafe practices being committed in these plants. There are a great number of reasons to be wary of factory-farmed meat, from the cruel conditions the animals live under to the industry’s link to illness and disease. Fortunately, organic farming is growing in popularity; in fact, in 2017, the organic market saw its biggest growth increase since 2008. Organic farming boasts an array of benefits for animals, humans and the environment. For example, grass-fed beef is superior to conventionally farmed meat. Big Ag has gotten away with too much for far too long. Learn more about what you’re eating at Food.news.